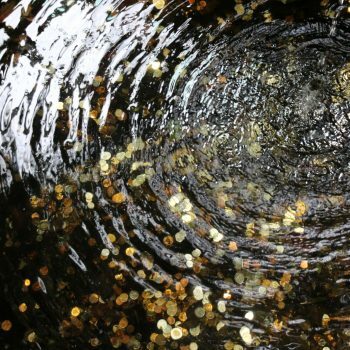 A pub has recovered more than £1,000 for charity from a wishing well, dropped into its depths over the past 20 years. As reported by The Argus, more than 100 people watched on as Iain Tindall and Lloyd Sessions, of Belay Rope Access, made the mission to the depths of the well, which required them to wear oxygen masks, at The Abergavenny Arms in Lewes. Above land, pub goers cheered them on while enjoying a hog roast, raffle and competition to guess the weight of the well’s haul. Over a one hour period, the pair emptied the well collecting £1,000 in cash, made up largely from pennies, and other trinkets, including knives, a packet of Twiglets and a My Little Pony toy. Lucie Sargent, who has been the landlady of the pub for nearly six years, said: “People have been throwing coins down there for years and we thought, let’s go get that and give something back to the community. Of the money raised, 75% will go to Newhaven RNLI with the rest going to nearby Rodmell Parish church. I would hardly call it a ‘haul’, it works out at £1 per week.